Calico Jack® Spiced and Silver Rums are perfect for mixing your favorite cocktails or enjoying on their own. 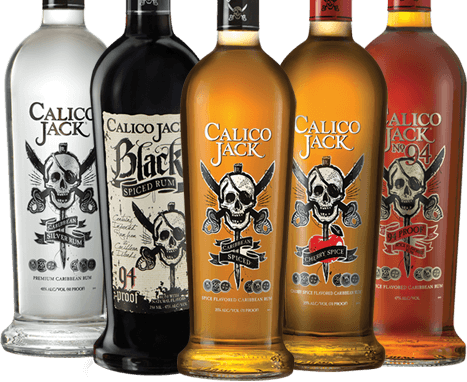 Calico Jack® Flavored Rums bring a whole new level of flavor to the party, from Coconut to Whipped. Embrace the adventurer within you. Fly your own flag™.